On a previous post, I labelled Christian universalism as essentially imperialist. Quite a few persons will disagree with me and argue that universal is a tool to fight empire, such as the limiting of salvation to a select few individuals (and therefore, consequently, the control of the world). If Christ is for everyone, then, some would say, that it can only mean that a political system open to everyone is preferable. However, this is not my beef with universalist views of salvation. In eschatological as well as moral terms, the idea that the entire human population shares a common fate presupposes, on the part of those who generally agree, that all human beings will someday make the same religious, moral, and political choices, and thus denying the possibility of diverse outcomes in the future. When giving an example of the political struggle between two separate African nations and the French colonists, Franz Fanon asserted, “There is no common destiny between the national cultures of Guinea and Senegal, but there is a common destiny between the nations of Guinea and Senegal dominated by the same French colonialism. […] they would not be absolutely identical since the people and the leaders operate at a different pace.” In a theological context, I would argue that there is no common destiny for each religious culture because each religious community makes various decisions; therefore, the purpose of each missionary/religious devotee differs according to each context. This position, in my opinion, leaves room for a diversity of experiences when the new creation brought about by God occurs. The secret behind Christian universalism is a general moral determinism, and therefore limiting the wide options of possibilities that come with human being who are created in freedom. For both Fanon and Spivak, the indeterminancy of human agency is vital to resisting colonizing and overdetermining discourses. Hence, it is essential that Christians develop an eschatological vision where God’s reign is understood as both a heterochronic and heterotopic event (i.e., taking place at a range of times and places) while developing a missiology that takes both human freedom and plurality seriously. Cf. Spivak, “Can the Subaltern Speak?,” 302-305 as well as Fanon, The Wretched of the Earth, 7;18. Gayatri Spivak takes aim at the discourse used by the British colonists to describe the “good Indian wife” as the one who burned herself after her husband’s death. The British reductionist account excludes the other possible ethical options that Indian women could have chosen. 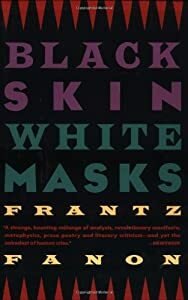 Frantz Fanon rejects determinist philosophies with my favorite quote found on page18: “The colonized subject also manages to lose sight of the colonist through religion. Fatalism relieves the oppressor of all responsibility since the cause of wrong-doing, poverty, and the inevitable can be attributed to God. The individual thus accepts the devastation decreed by God, grovels in front of the colonist, bows to the hand of fate, and mentally readjusts to acquire the serenity of stone.” The colonized subject, with all of her choices limited according to the ideology perpetuated by the status, acts according to the possibilities that she accepts. This entry was posted in Political Jesus and tagged annihilation, annihilationism, baptist life, Baptist Theology, E Y Mullins, empire, empire studies, end times, eschatology, Fanon, Frantz, Frantz Fanon, Free Will, free will theology, Fridays With Fanon, Gayatri Spivak, heaven, hell, Herschel Hobbs, imperialism, new Creation, postcolonial theology, postcolonialism, Southern Baptist, Spivak on June 11, 2010 by Rod T.
Universalist: I am not one. Period. “To suppose Satan or any other being aims at universal holiness and happiness by encouraging men in sin or disobedience, is highly preposterous.” (Sketches of the life and character of Reverend Lemuel Haynes by Timothy Cooley, 1839; page 109). In other words, if the whole world is saved, there would be no reason why sin and evil exist in the world still. With universal salvation must come universal sanctification, and that has not happened. This entry was posted in Political Jesus and tagged annihilation, annihilationism, Calvinism, Christian universalist, evangelical universalist, hell, pluralism, Political Jesus, rant, salvation, the afterlife, universalism, universalist on February 4, 2010 by Rod T.